African drums promote creative play. African children's toys can make wonderful gifts for the children in your life. People choose to purchase African children's toys for many different reasons. Obviously, parents of African American children will want to consider purchasing African children's toys as a way to promote an awareness of their cultural heritage. However, all parents may want to consider buying these toys as a way to encourage a discussion about diversity and the differences in life between children in various parts of the world. These lessons can be further enforced by making a trip to the local library to look for children's books with African themes. Toys with lots of electronic bells and whistles may be fun, but many parents are concerned that these items are so sophisticated that they don't properly allow for imaginative play. When a toy makes decisions for a child, he misses the chance to learn how to think and explore on his own. African toys, because they rarely feature sophisticated electronics, are more like the simple toys you may remember from your own childhood. These are toys that provide opportunities for open-ended play. 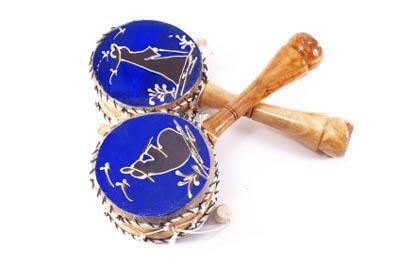 Instead of a musical instrument that features prerecorded sounds when you push a button, an African toy requires the child to make the sounds. The doll doesn't talk or wet her diaper, either; your child will need to use her imagination to make these activities a reality. African toys are often made from wood and other natural materials. They may use recycled elements as well, which makes them a great choice for parents who want to promote an awareness of environmental responsibility in their children. An elementary school student may not be able to understand the importance of recycling on a larger abstract level, but it's fairly simple for a child to understand that her doll's clothing was sewn from a shirt an African child had outgrown.Of course, since children grow up very fast, even African toys will eventually be abandoned in favor of other playthings. Keep the spirit in which these toys were created alive by making sure to pass them along for another child to enjoy. Toys that are labeled as fair trade are produced under conditions that allow African toymakers to earn the wages they need to support their families. In comparison, many of the toys found at the local mall are produced in factories that may use child labor or other practices you don't personally agree with. Because they are unique handmade items, African toys aren't going to be widely available in many areas. Your best bet would be to look in smaller specialty toy shops or in the gift shop of the local children's museum. Cultural diversity centers may also sell these types of items as part of their fundraising efforts. One World Projects sells mud cloth animals made by a women's association in Mali, Africa. Little Traveler sells small beaded dolls made by talented African crafters.